Go Beyond 80C Tax Benefits. Turn into a Smart Tax Saver. Section 80C is the most used tax-saving section amongst the tax-payers. Section 80C provides for investment options whenever one wants to reduce his/her tax liability. 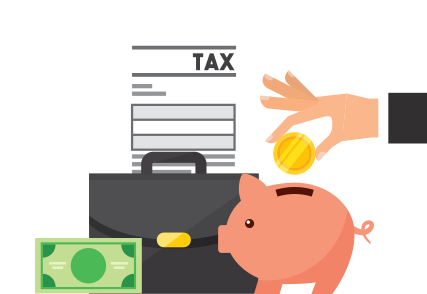 Be it life insurance premiums, PPF contributions, five-year term deposits or ELSS schemes, the list of tax-free instruments under this section is quite long. But there is a catch. You cannot claim more than ₹1.5 lakhs exemption in aggregate through Section 80C investments. If you add NPS investments (Section 80CCD), you can claim an additional ₹50,000, bringing the total available deduction to ₹2 lakhs. Is the ₹2 lakhs exemption sufficient? What if you can get more? Yes, there are other sections which give you additional tax-saving exemptions besides Section 80C. While many are available under Section 80 itself, some belong to other sections. 80GGB and 80GGC Contributions made to a political party by companies and individuals respectively Nil. 100% actual contribution made only by other than cash. If you have a home loan, you can earn tax exemption on its interest payment too. Interest of up to ₹2 lakhs is allowed as tax-free expense under the provisions of Section 24(b). Besides the all-too-popular HRA exemption, you can also avail tax exemption on Leave Travel Allowance, meal coupons, conveyance allowance, medical allowance, etc. Money received by way of gift is also tax-free. If you receive gifts from your direct relatives, there is no upper limit on exemption. From non-relatives, however, gifts up to ₹50,000 are tax-free. If you receive cash gifts on the event of marriage, they are completely tax-free without any limit and irrespective of the person giving the gift. Money received through will is also tax-free in your hands. Do not depend entirely on Section 80C to reduce your tax liability. Though Section 80C does offer a major tax-saving deduction, there are other sections that one can explore. So, use the above-mentioned sections of the Income Tax Act and save your tax outgo.